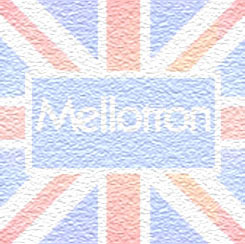 The source for information, new and used instruments and replacement parts for Mellotrons and Chamberlins since 1989. The digital Mellotron has been a big success at NAMM and the Frankfurt Musikmesse ever since its introduction in 2009! The digital Mellotron is frequently used on tour with Red Hot Chili Peppers, Smashing Pumpkins and Opeth! The digital Mellotron in use! still in production. They have the classic look and sound of the vintage Mellotrons with dozens of technical improvements. tape frames, motor controls and other spare parts. For more info, click on the icons below.